It’s that time of year again, where the weather gets better and people are out hunting for treasures. 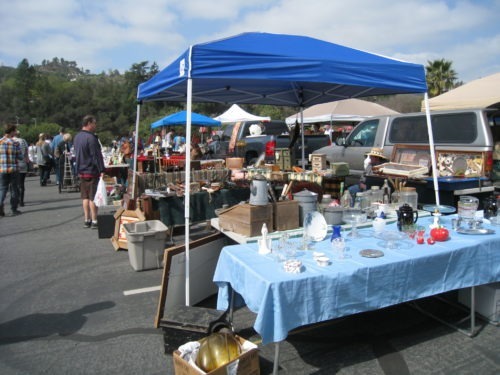 Of course, if you are in Southern California, it’s always flea market weather at the Rose Bowl. 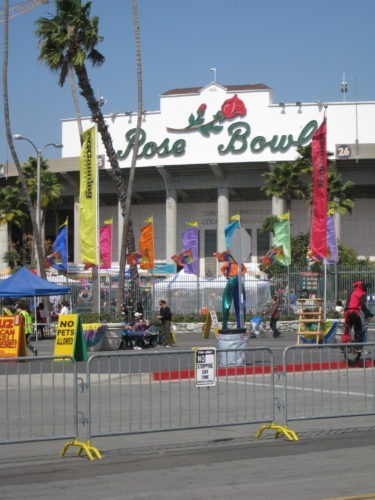 Held the second Sunday of every month, the Rose Bowl in Pasadena fills up with vendors peddling their treasures and hoards of people searching for a find! 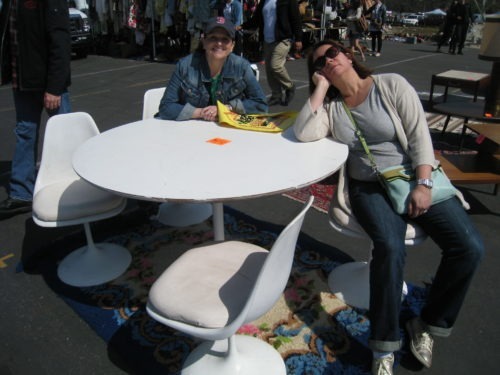 Recently Chantelle and I had the chance to visit the Rose Bowl and bring home unique items for Bungalow 47. Even if you only go to be inspired, it’s the place to find whatever your heart desires. 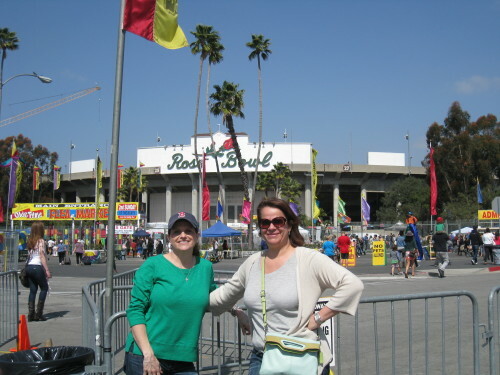 My favorite treasure from past visits to the Rose Bowl include my amazing vintage bread board, featured in the blog post Tray Chic. 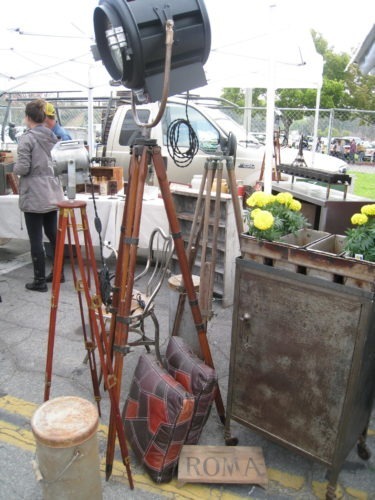 With many opportunities for flea marketing this summer, I thought I’d share my Top 10 favorite tips for scoping out bargains wherever you go. 1. Cash is king – Needless to say, you’ll need a little play money before you hit the market. Bring as much as you can, along with small bills so you can bargain and give exact change if possible. Be careful as to not pull out a big wad of cash to flash, especially if you’ve just snagged a huge deal of the day. Some big shows even have ATMs for those shopping ’emergencies’. 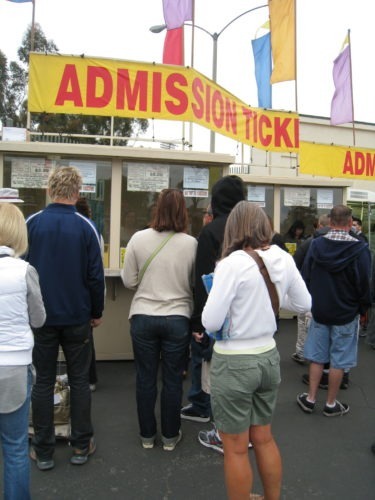 Some markets require tickets to get in, so plan ahead with admission cash. 2. Comfort is key – Dress for the weather, especially with your footwear. Nothing is worse than aching feet, so be smart about choosing the right shoes for where the sale is held. I also like to layer clothes so I can peel off a jacket if the weather heats up or I’m having a hot flash from excitement! With glaring sun, a hat and sunscreen are always a must. Sometimes you just gotta take a rest. 3. Keep your eyes peeled – I tend to go to sales without a plan so I can find the thing that speaks to me. Sometimes if you are too focused on finding something specific, you will miss out on that one amazing find! Also look around for display inspiration and don’t forget to snap pictures if you can (this is where your smart phone comes in handy so you aren’t carrying a camera too). Hmmm, now what can I do with these? 4. 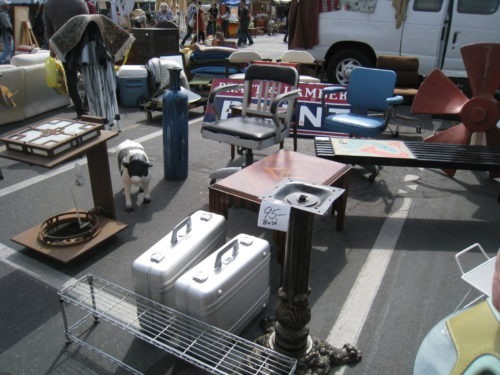 Stay hydrated – Pack your bottled water and a snack too, although some flea markets have amazing food for sale. Nothing will drain your energy like getting quickly dehydrated, plus you need your strength to find those bargains. Lots of bargains to look at, where shall I start? 5. 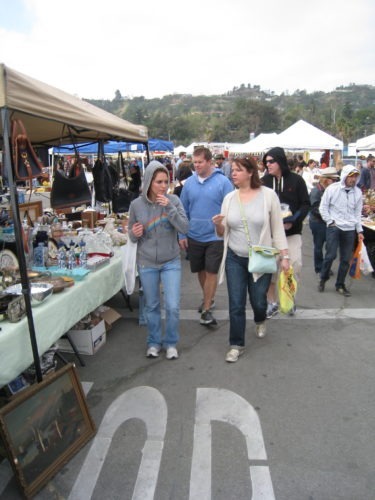 Expect to haggle – Vendors expect you to bargain, but try to be polite about it. 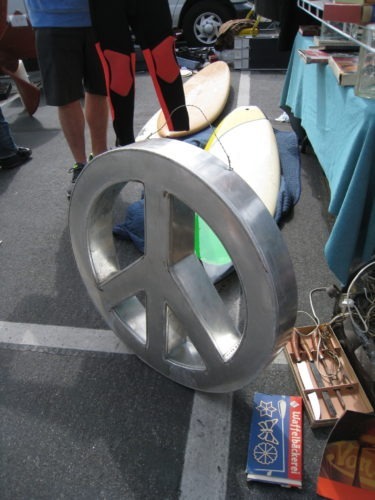 You can ask, “Can you do any better on the price?” but never insult the vendor by acting like their wares are worthless and you would never pay their prices. If it’s too much, just walk away. There’s always that one thing that is super cool but out of the budget. 6. It’s good to have a runner – Or in my case, a Rinner. Going to markets with my husband is always awesome because he’s willing to drag stuff out to the car for me, track down snacks and beverages, and sometimes be the voice of reason. But being the smart man he is, he never tells me “No, you don’t need that”. Most of the time, I don’t, but he knows I can reach that conclusion myself. Extra muscle is always helpful with son and husband in tow! 7. Don’t live your life with regrets – I think we all have been in this position before and walked away from something we really wanted, only to obsess about it for weeks to come. I say if it’s in your budget or even slightly out, if it’s really special, it’s always better to buy one amazing thing that will make your heart sing and be a conversation piece later. I learned this the hard way and still regret not buying a large concrete fish I was sure I didn’t need. Is this something I gotta have? I wish! 8. Bring a friend – This is a delicate topic because shopping is always better with a pal but can be super annoying with the wrong person. Bring someone who has slightly different vision than you so you aren’t competing for the same items. The worst is losing a coveted item to the person you are with! Also, someone who really knows your style can point out cool stuff you may have missed while looking in another direction. Leave all complainers at home. 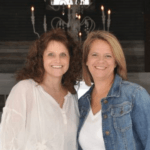 Chantelle and I – the ultimate shopping pair! 9. 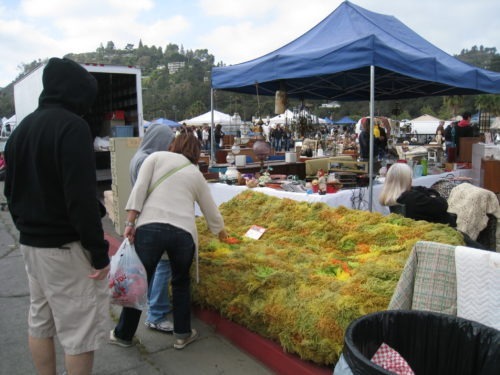 Be realistic – Remember you have to get this stuff home. If you don’t have a big car, leave that ginormous plastic giraffe behind. A tape measure is always helpful to carry with you (I have a small retracting one the size of an apricot) so you don’t buy something you can’t fit in your car. Bring room measurements if you are looking for a specific area in your home. When we travel out of state and have flown to the destination, I limit myself to breakables that will fit in my carry on bag, easily shipped items or non breakables that can fill my giant duffle. Remember how I got the vintage car home? Will this fit in my carry on? No. 10. Early vs. late – If you show up early, you get the best stuff before the crowds but you will pay for it. Vendors are less apt to deal early in the morning. 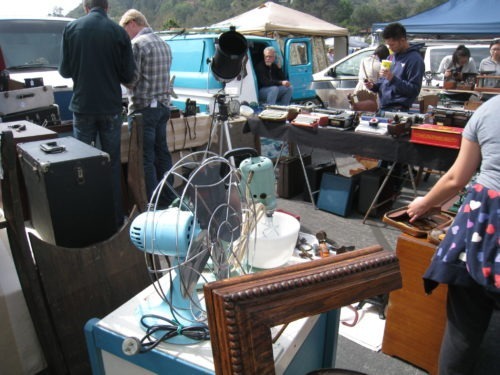 If you wait until the end of the day, you are more likely to get a bargain on something that the seller might not want to pack up and take home. However, keep an eye out for those that look like they are super hoarders and still have a packed full van. That van is still full because they ‘value’ their items too much and really don’t want to part with them unless they get their inflated price. They usually won’t bargain and are time wasters. If you find that special something that you might want to go back for, mark down which aisle you were in so you can find your way back! Hey Ladies! Your trips look like so much fun. 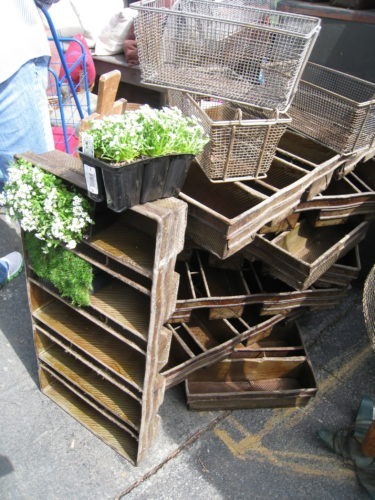 Are there any local (MI) markets that you would recommend? Thanks!